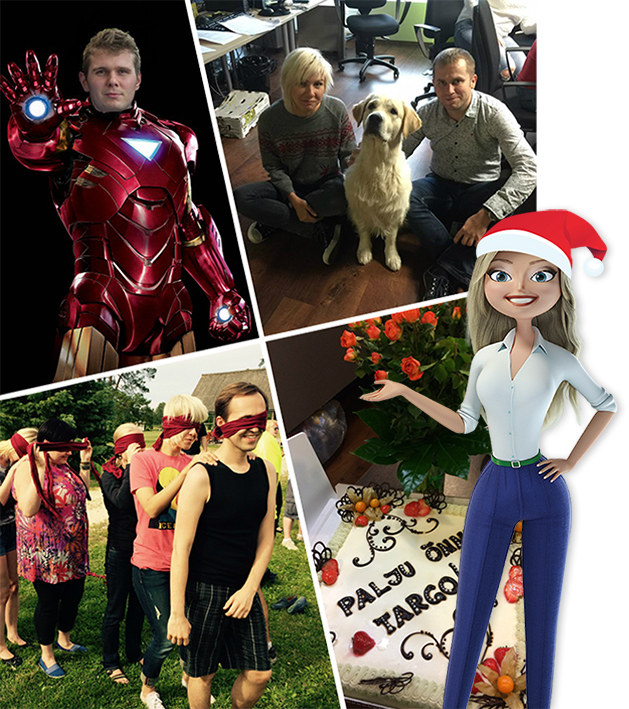 It’s a wrap – thanks for the great 2015! It’s been another action-packed year here at Bondora. We want to thank everyone for being part and making our community of 12,242 investors and 243,062 borrowers. We had quite a few memorable moments this year and here is a selection we wanted to highlight for you. Happy holidays and enjoy the highlights! “This award is proof of the hard work our team has been doing over the past years in building up a loan origination, credit scoring and servicing process that works across borders”, says Pärtel Tomberg, CEO of Bondora. 75 cakes were ordered for office celebrations – no need to mention that we love big and small celebrations here! Happy new Year, and now I know, why I didn’t get answered that what did you change and how it affects investors. Now I know. Nice wrap indeed. Thank those poor investors who invested into safer FI and ESP loans. Now they have HR loans instead. Happy New Year to you as well! I hope you will have a great year. There will be a post on the performance of Bondora Rating along with a summary of the new scorecard impact later this week. As most investors are not active over the holiday season (there is more than 2x less traffic always during this period) then we delayed publishing the post until people return. The link you posted simply shows that the application if it would be made today (with the same parameters) would get a different interest rate that it got when it was originally applied. Based on last months the overall interest rate on weighted average basis (31.5%) is expected to be pretty much the same compared with the previous model (31.9%). However on country level Estonia and Finland are relatively stable (+/- 1%) whilst in Spain the average interest rate is approx 10% higher. PS! The application score assigned to loans is effectively valid approx 120 days (till loan has made 3 payments) after which the actual payment behaviour of the customer is an indicator of risk. We are rolling out the portfolio score later this quarter so when buying/selling loans on the secondary market you would have an easier way to understand the risk of your portfolio or the portfolio you are buying. Pärtel, your post is more or less useless. Stay to the Facts. There is a new Rating (V2) with the result that 36% of all loan volume is downgraded from their current, old, Rating. Fact is that Bondora changed the Rating paramenters and hence the Rating of the majority of the loans were adjusted (mostly downgraded) as the performance of these loans do not correspond with the Rating (or Risk Level) anymore. The pure amount of the rate shift implies that Bondora did not know what they were calculating in the past, but investors relied on it. Investors now have a higher risk in their Portfolios, and on top of that, the interest rates of these downgraded loans are too low now for their respective risk level. Or are you going to increase the interest rates of these downgraded loans to match the “correct” risk Level? Please also refer to my E-Mail I sent to you. @YaCop, Bondora Rating is an application score calculated on new applications based on data available at the moment of the application. We use proprietary data as well as data for external credit agencies in calculating the scores. The risk parameters are then used as inputs to the pricing model that aimes to deliver a fair risk-adjusted price for the loan. When a new scoring model is developed then we have decided to be fully transparent as with the rest of our data. Therefore we have made the results of the back-tests available in our data sets. Back-tests are calculated using the latest statistical model combined with application point-in-time data. These back-tests are not meant to upgrade or downgrade a loan – they simply measure the risk performance and price effect of any potential new scoring model. These back-tests are used to estimate the performance of the model if it had been used when the application was made. The back-tests cannot be used to evaluate the riskiness of ones portfolio today nor any other factor other than estimate the performance of the model. The application score assigned to loans is effectively valid approx 120 days (till loan has made 3 payments) after which the actual payment behaviour of the customer is an indicator of actual risk. We are rolling out the portfolio score later this quarter so you would have an easier way to understand the risk of your outstanding portfolio. Using the application score is not a viable measure for achieving this as its only intended to predict the riskiness of a loan based on the data available at the moment of the application and use this estimated risk level in pricing the loan.